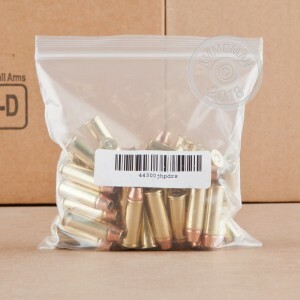 This is some great affordable personal defense ammo for your .44 Magnum revolver or lever-action carbine from DRS. The jacketed hollow point (JHP) bullets weigh in at 300 grains and match some of the most effective self-defense ammo in this caliber from Black Hills, Buffalo Bore, and Hornady. The copper jackets of these rounds go up high but stop short of the exposed lead of the hollow cavity. As a result, when these rounds make impact they will expand nicely while the high jacket works to secure the lead core in order to retain penetrating momentum. 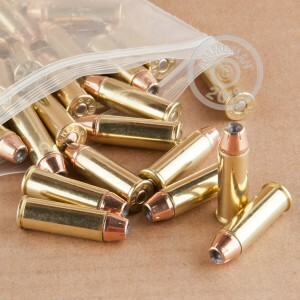 These cartridges are assembled from reloadable brass casings fitted with Boxer primers. Great product. Very accurate during the hunt. Been looking for 300 grain ammo ever since Pro Load left. Great Excellent ammo. will buying more very soon. Highly recommended.